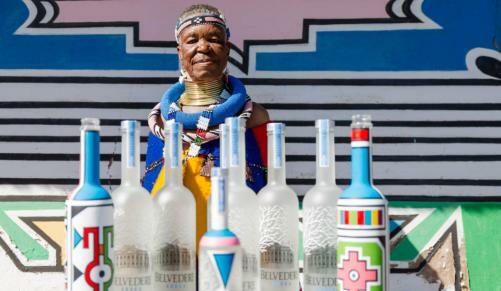 82 year old artist, Esther Mahlangu made international news this week for partnering with a luxury vodka brand to raise money for HIV prevention. 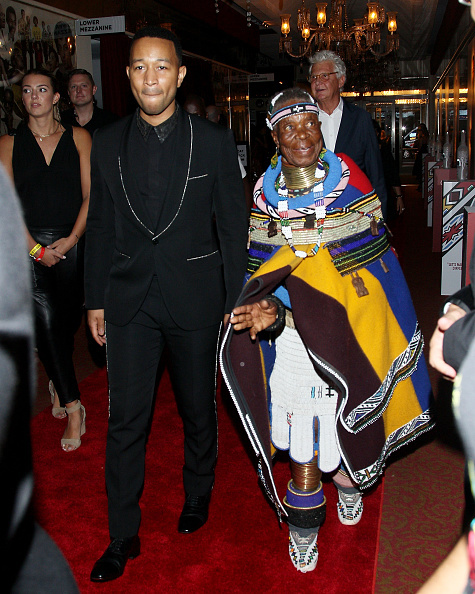 While a share in the adulations and appreciation for her work, I can't help but feel that Mme Mahlangu is due for her million rand paychecks now. For years South African artists have been exploited by brands both local and international. Words like "exposure" and charity have been used to exploit the talent and work of our South African artists for far too long. 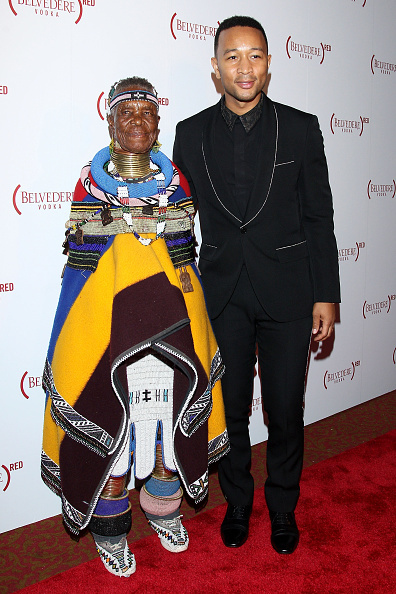 As part of a campaign promoted by John Legend, Mme Mahlangu has just created a classic Ndebele design for a special-edition bottle of Belvedere vodka (Red). Half of the profits will be donated to the Global Fund to be used in tackling HIV/Aids, malaria and TB. 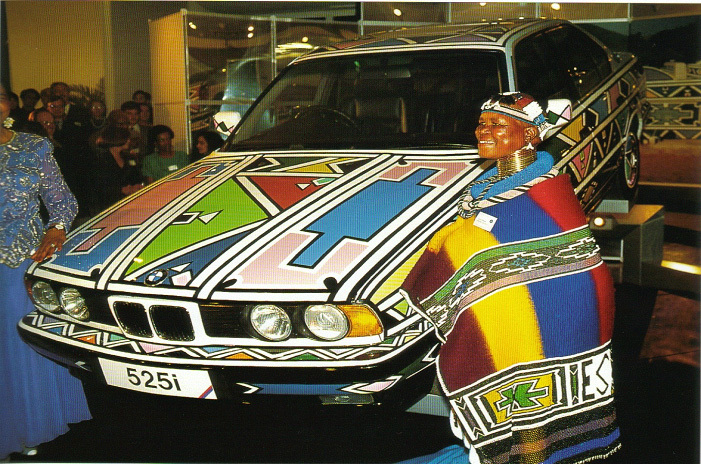 In the past Mahlangu has worked on international brand campaigns such as the BMW art car (BMW 525i) “African Art Car”, which she was commissioned to do in 1991. She was one of the African artist featured at The Contemporary African Art Collection (CAAC) of Jean Pigozzi. Red campaign, which is behind her latest collab with Belvedere, was set up by musician Bono's One Charity. The campaign’s strategy of partnering with big-name, luxury and designer brands to produce a bespoke product, sales of which generate donations to the fund, has been criticised for being too consumerist. Let's be clear on something here... charity or not, in every campaign someone is making money. 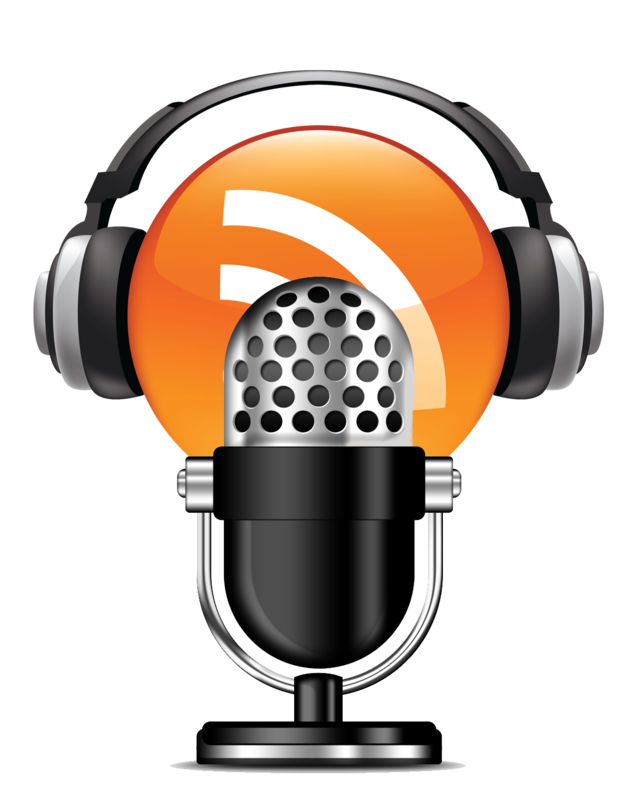 The brands themselves get millions worth of free publicity. With that publicity they end up making more millions in sales profit. It may sound crass for me to be demanding that Esther Mahlangu be remunerated with no less than R1million for her involvement but factoring in the prestige and international platform of this campaign surely that is deserved. She may not be doing this for the money. But I think it's about time that words such as 'famed' and 'world renowned' that are used in media blitz for these collaborations she does start to reflect on her bank balance. Granted, I don't know how much she is getting paid for this Belvedere collaboration. However, with the likes of John Legend involved, I am hoping she too is being compensated befitting the stature of the campaign and is not given some R50 000. Again, she must get paid no less than R1 million or this is pure exploitation and we should not allow it to continue. Gogo Esther was flown to the USA for the campaign (RED)'s 10 year celebration. She was plastered all over international publications in poses with John Legend and other high profile people on Saturday night (August 28) at the Apollo Theater in New York. 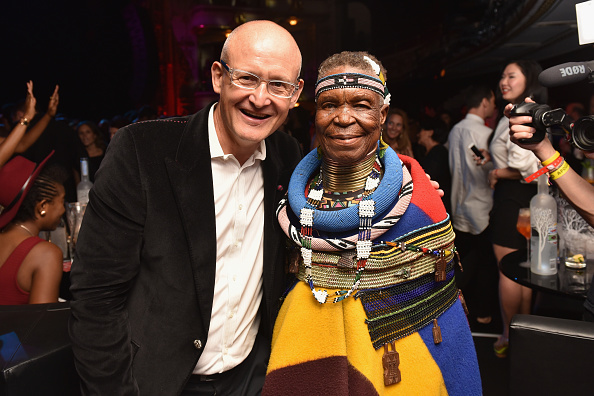 I implore President of Belvedere, Charles Gibb, to do the right thing and lead the charge to stop the exploitation of African artists and make sure Gogo Esther is properly remunerated for her work even though she is doing this for charity.